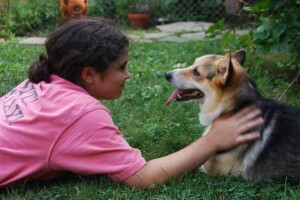 Lakeshore Pembroke Welsh Corgi Rescue was originally a committee of the Lakeshore Pembroke Welsh Corgi Breed Club. The Rescue became a separate entity when it incorporated in 2006. We are now a 501(c)(3) non-profit and donations to our organization are tax deductible as permitted by law. We rely entirely on donations and adoption fees to fund our activities. We are not funded by the Lakeshore Pembroke Welsh Corgi Club or the Pembroke Welsh Corgi Club of America. Your donations enable us to continue to help homeless Pembroke Welsh Corgis in need. When we rescue a dog, the first thing that happens is a very thorough health check. We always make sure the dogs are healthy and stable before placing them in their forever homes. All this medical care, fostering, transporting and caring for our rescued pups can be expensive.